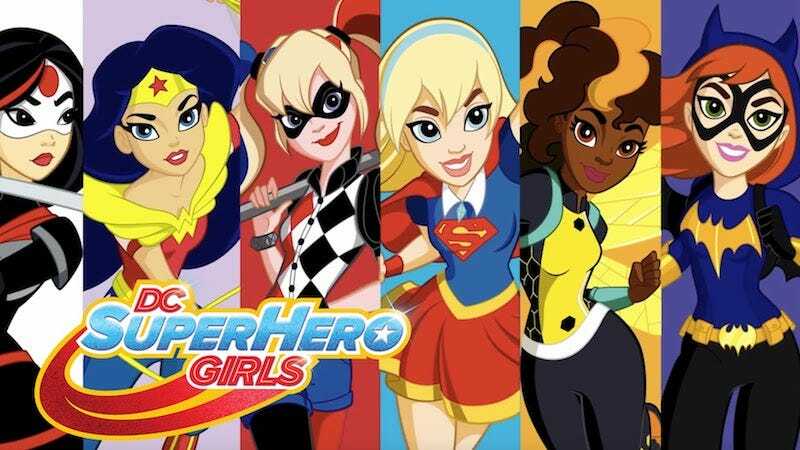 DC Super Hero Girls, the collaboration between DC Comics and Mattel featuring DC’s most iconic female characters reimagined as teenagers attending school together, began as a series of online shorts meant to advertise a companion set of dolls (or action figures). Now, though, it’s become so much more. Since its early days on YouTube, the DC Super Hero Girls franchise has expanded into the world of comics and, according to DC, the series is selling much, much better than anybody initially expected it to. In an interview with The Hollywood Reporter, DC Entertainment senior vice president of sales John Cunningham explained that DC Super Hero Girls: Finals Crisis, the series’ first trade collection, outsold a number of DC’s more “traditional,” male-oriented books in 2016—something that surprised the publisher. If I look at books we shipped out of [DC’s book market distributor] Penguin Random House last year — books shipped to bookstores — DC Super Hero Girls: Finals Crisis was our No. 2 book on units. Our No. 1 book was The Killing Joke. So our list goes, Batman: The Killing Joke, DC Super Hero Girls: Finals Crisis, Suicide Squad Vol. 1, Watchmen, Preacher. And what that number [for DCSHG] doesn’t include is our Scholastic Book Club sale, which is of a quantity which is greater than what I show shipping out of Penguin Random House. DC Super Hero Girls managing to outsell Preacher and Suicide Squad is especially telling, considering that the latter two books had a major television series and big-budget movie out (respectively) last year that should have boosted sales. They key difference at play? DC Super Hero Girls’ target demographic. Unlike the vast majority of books that dominate headlines about comics, DC Super Hero Girls is aimed squarely at girls between the ages of 6-12, an audience drastically underrepresented in comic books that the major publishers are putting out. In working with Mattel to create a brand-new property specifically designed to those young female readers, DC managed create something that was a financial success for itself. It’s almost as if a publisher properly marketing its books to a new, diverse audience leads to that audience wanting to buy what the publisher is selling.